In medical sales, mindset matters. Think about this . . . 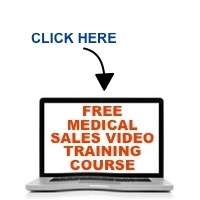 Most medical reps set out on sales calls with the mindset of it being a solo event. In other words, one sales call where the customer buys or doesn’t buy. This is looking at it all wrong. There’s a more realistic way to look at your sales efforts. You can learn about it by listing to this episode. Please like us on iTunes if you find this helpful. Thanks!